Want to know what other Ender's Game fans think? Read all about it and post your own HERE! Nerd Reactor interviewed Khylin Rhambo (Dink Meeker) and talked Ender’s Game, his reaction to learning he’d be acting with Harrison Ford and Ben Kingsley, and his work on First Family. Nerd Reactor: You’re in a big budget science fiction action movie, Ender’s Game. What’s your excitement level right now? Khylin Rhambo: I mean my excitement level is probably at 9 billion right now to be honest. I’ve been waiting two years, or about a year and change, basically I’ve been waiting for this whole thing to finally unfold. Soon I get to see the finished product, so that is almost so exciting that I don’t even feel anything; it’s like a surreal moment. That’s what I’m feeling right now. Nerd Reactor: Can you tell us about your character? I play this character whose name is Dink Meeker, and he’s like the junior of the Battle School. He’s been there for a while and he comes in contact with Ender. The rules are simple, nobody interacts with the new kids because they ‘are’ the new kids and nobody likes them. But Dink, I liked playing him because he was an honorable character to play and when I say that, I mean he was willing to talk to Ender because he knew that there was something special about him. He’s willing to take one for the team if it means that they win. He’s willing to team up with people that he might not necessarily like, he’s willing to respect his boss’ orders even though his boss may be unorthodox. There’s just so many things about him that I would like to incorporate into my own life, so being able to play a noble character like that was actually an experience that I’ll never forget. Nerd Reactor: You get to act with some big talent including Ben Kingsley and Harrison Ford. So how was that? 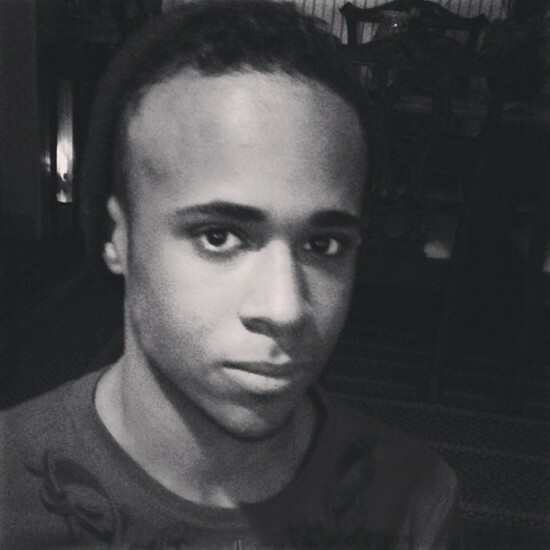 Khylin Rhambo: Man, I’m not even going to lie to you. I was really scared. When I first found out who was going to be in the cast, I was like, “Are you serious? Did they make a mistake? Am I supposed to be in the movie?” It was amazing when I first saw them because these guys, I’ve seen so many of their movies and when I shook their hand I just couldn’t help but feel honored to be part of it. Every actor says that, you know, that it’s an honor to work with this person or it’s an honor to work with that person. But it truly, truly was an honor because these guys are elite. They’re at the top and you can’t help but learn from them. The energy on set, the way they carry themselves, it was great to see them like that, to be so professional and extremely talented. So you can’t help but be better when you’re surrounded by people like that. Read the full interview at Nerd Reactor. Ender's Game Prop Auction to Begin March 9, 2015Register for the Ender's Game prop auction and bid on a piece of sci-fi movie history! VIDEO: The Cast of 'Ender's Game' at Space CampWatch the Space Camp part of Ender's World: Making of Ender's Game. VIDEO: ET Gives Inside Look at Ender's World FeaturetteEnder's Game is out on Blu-ray today and ET Online has a short snippet of the Ender's World featurette for you to watch. REVIEW: Ender's Game Blu-Ray/DVD ComboRead EnderWiggin.net's review of the Blu-Ray/DVD Combo of Ender's Game. io9 Gives Sneak Peek into Creation of the Formicsio9 has an exclusive behind-the-scenes video from the Ender's Game Blu-ray featurette "Ender's World: The Making of Ender's Game." VIDEO: Gavin Hood Talks Ender's Game for Blu-ray ReleaseGavin Hood spoke with The Movie Interview about Blu-ray release and sadly dashes our hopes for a director's cut of Ender's Game. 'Ender's Game' Sponsoring Starcraft 2 Tournament for Blu-ray ReleaseLionsgate and Odd Lot are gearing up for the Ender's Game home video release with a Starcraft 2 tournament with Major League Gaming and Twitch. VIDEO: Behind-the-Scenes Teaser for 'Ender's Game' DVDWatch a quick behind-the-scenes teaser for the Ender's Game DVD, which hits stores on February 11, 2014. 'Ender's Game' Brings in $10M First Week in ChinaEnder's Game, which recently opened in China, brought in strong $10M at the box office in its first week, boosting its worldwide total to $112M. Bob Orci Talks 'Ender' Sequels with Crave OnlineWhile the fate of any Ender sequels is still up in the air, Crave Online spoke with Ender's Game producer Roberto Orci and discussed possible sequels. 'Ender's Game' DVD Release Date Set for February 11, 2014Summit has announced that Ender's Game will be released on DVD and Blu-ray combo pack on February 11, 2014.